Approaching one of the most significant generational shifts in its membership’s history, AARP tasked Purpose Generation to help the organization strategically advance its relevance and appeal amongst future members. 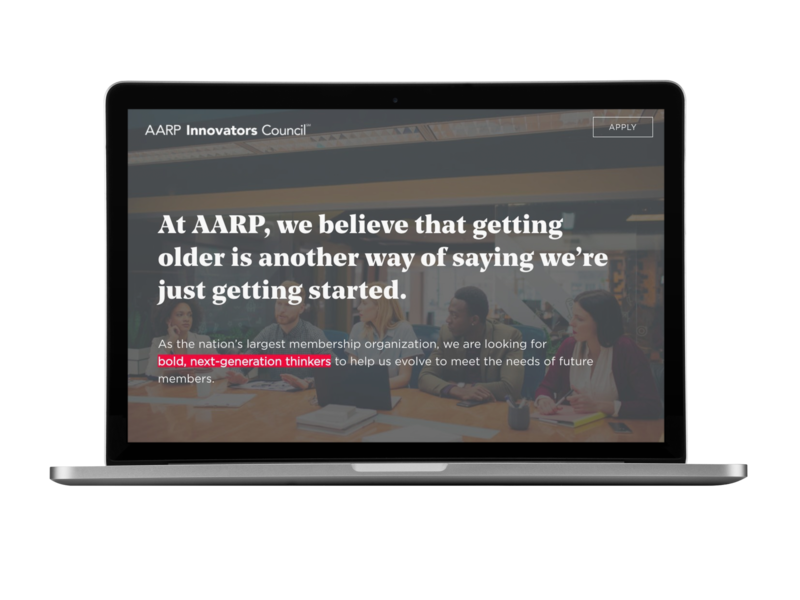 In collaboration with CEO Jo Ann Jenkins, we created the AARP Innovators Council (SM) or AIC, an external advisory group of millennial thought-leaders in aligned industries such as healthy living, caregiving, and healthcare. The purpose of the AIC is to educate AARP’s leadership on the topics and challenges that are top-of-mind for the next generation and help the organization evolve to meet future members’ needs. Purpose Generation collaborated with the Office of the CEO and Corporate Strategy team to define the AIC’s mandate, establish buy-in from AARP leadership, and handpick the inaugural council members. At bi-annual, in-person summits and via quarterly conference calls, the AIC advises AARP on its organizational infrastructure, technology, products and services. In exchange for this insight, the AIC receives opportunities to partner on new ventures with AARP’s innovation team and access to an influential group of business leaders and like-minded peers. Worked with leadership to develop the strategic framework and mandate for the council. Engaged in targeted outreach and recruiting from influential networks, vetted candidates, and performed interviews to build council. Once members were confirmed, we engaged in a several-month onboarding process to get the council up to speed on AARP’s vision and strategy. Host annual, in-person summits and quarterly conference calls to bring council members together and execute against the strategic objectives. Designed and developed a custom online hub for prospective members to learn more about the opportunity, submit an application to join the council, and access schedules for upcoming events. 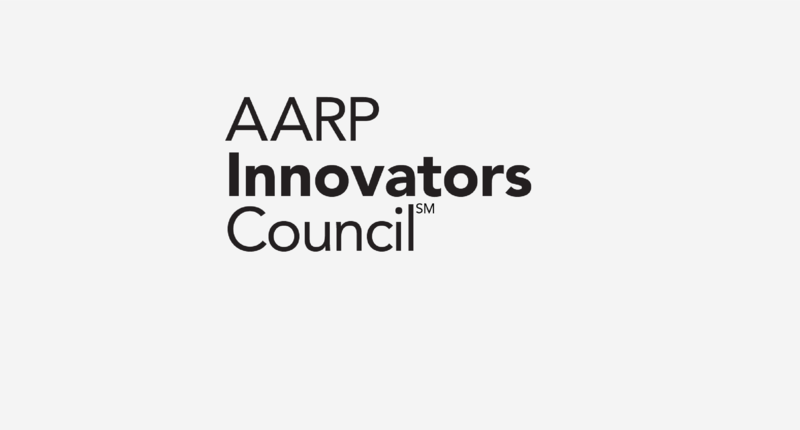 Since the launch of the AARP Innovators Council in Summer 2017, the council has advised the AARP Board of Directors and Executive Team on how the organization can scale its impact in the face of a rapidly evolving consumer landscape. The AIC is expected to double in size over the coming year and will continue to work closely with the Corporate Strategy team on executing its strategic mandate.